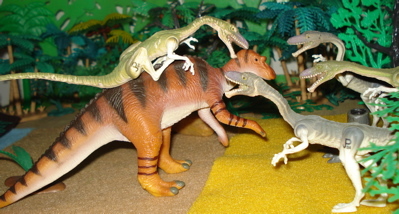 Theropods are the Carnivorous Dinosaur toys. 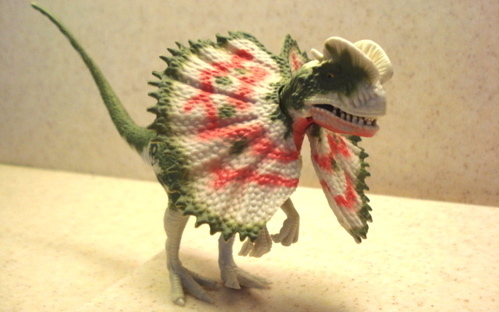 Theropods Make Great Dinosaur Toys... Grrrrr! 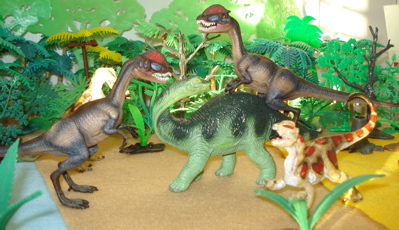 Nearly all the carnivorous Dinosaurs were Theropods. 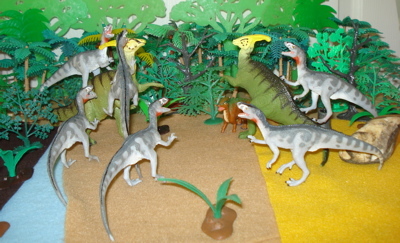 And almost all of the Theropods were carnivores. to the enormous Giganotosaurus at 45 feet in length and seven tons. 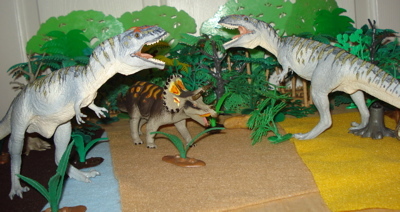 The class includes the Allosaurus, the Spinosaurus and the Tyrannosaurus Rex. 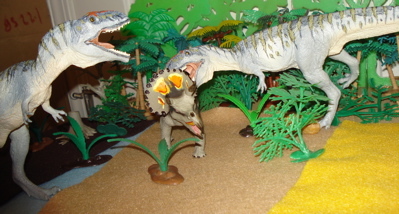 In addition there are the Oviraptors and the presumably vegetarian Therinzinosaurs. Quite a group! 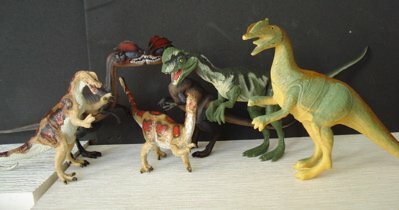 They were all bipedal and shared similarities in body shape and (except for the Ceratosaurus with four and the Tyrannosaurs with two) all had three claws on their "hands". arguing over who has the rights to what's lying around. The Theropods were the apex predators wherever and whenever they were around. 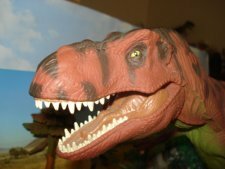 If you want to learn more about the Theropods, check this out. in some extremely colorful Dinosaur toys. 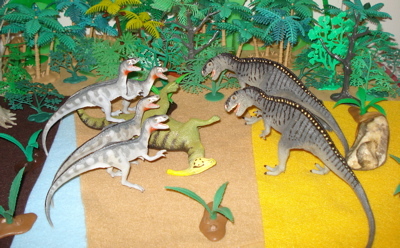 Unfortunately these "feathered friends" tended to be rather small and as a result they have been made in a much larger scale (1/4 to 1/20) than are most Dinosaur toys (1/30-1/40). 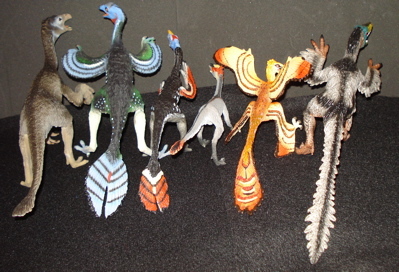 The Carnegie Microraptor (second from right) for instance is ~1/4 scale. Deinosuchus (1995) Not a Theropod, just a carnivore. 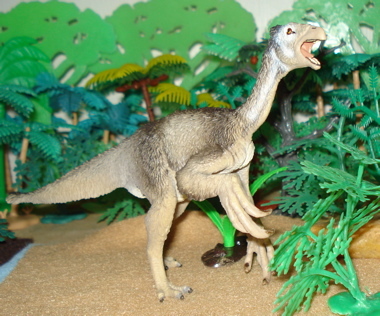 The Beipiaosaurus (Above) was a feathered Therinzinosauroidea Theropod with a beak, teeth, feathers and long claws. It was probably/possibly a vegetarian but I wouldn't trust it near my hot dog. It was about seven feet in length making it one of the larger of the feathered Dinosaurs.